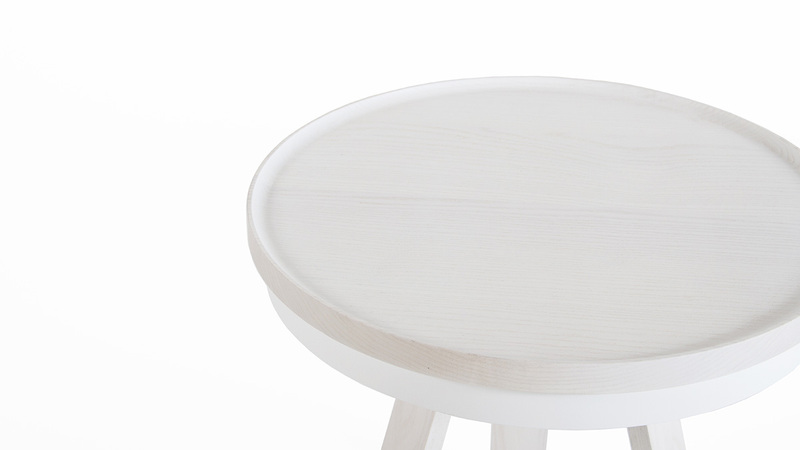 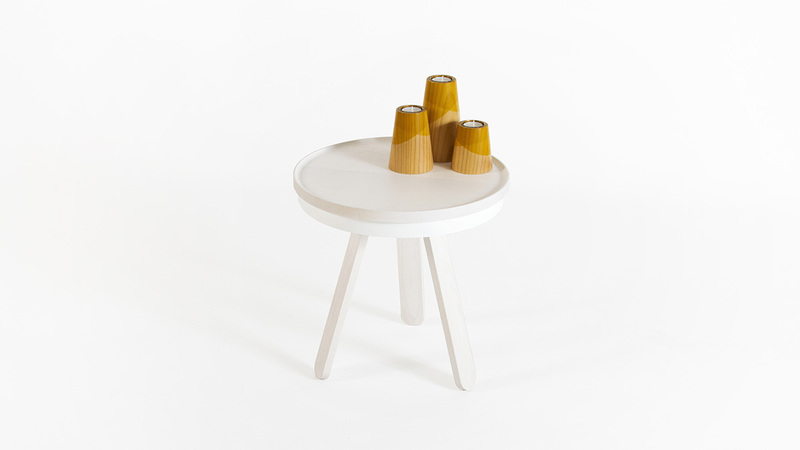 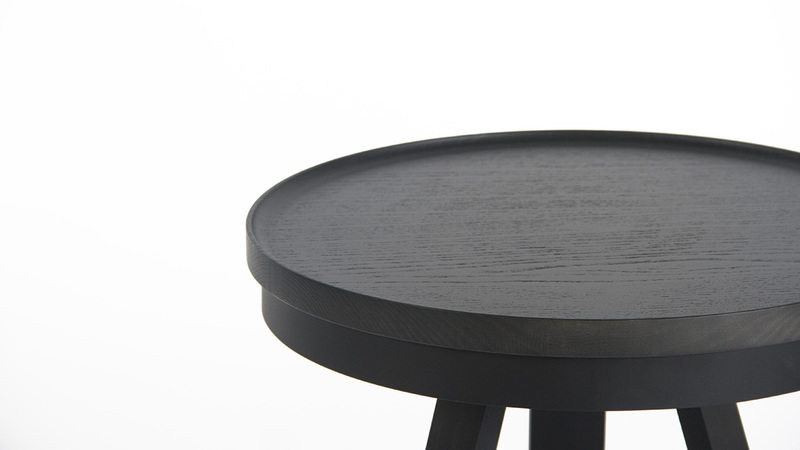 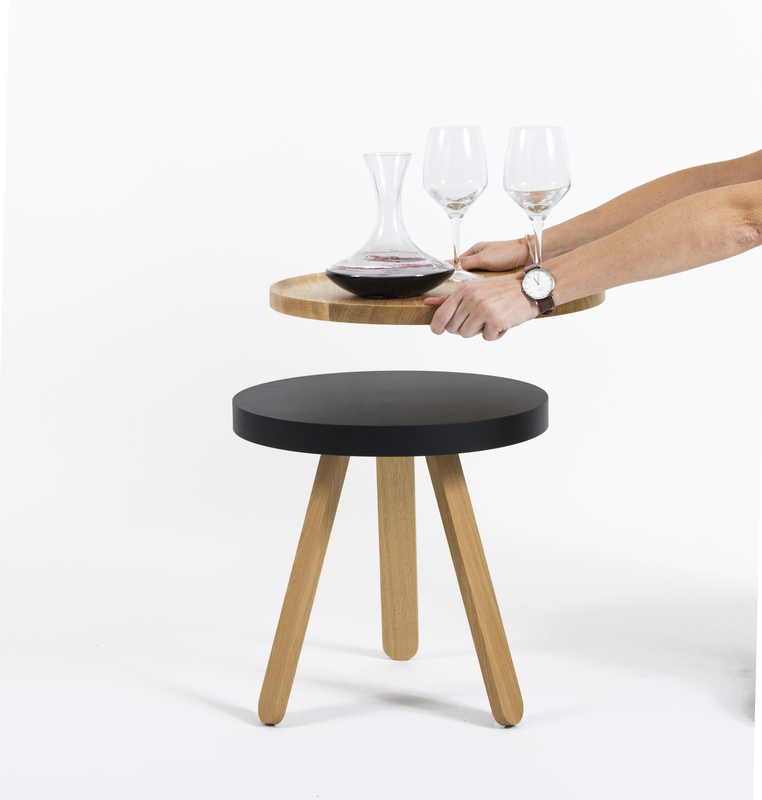 Batea, tray table – Woodendot – Daniel G. S.
Batea born from the idea of providing to the auxiliary tables a character more functional. 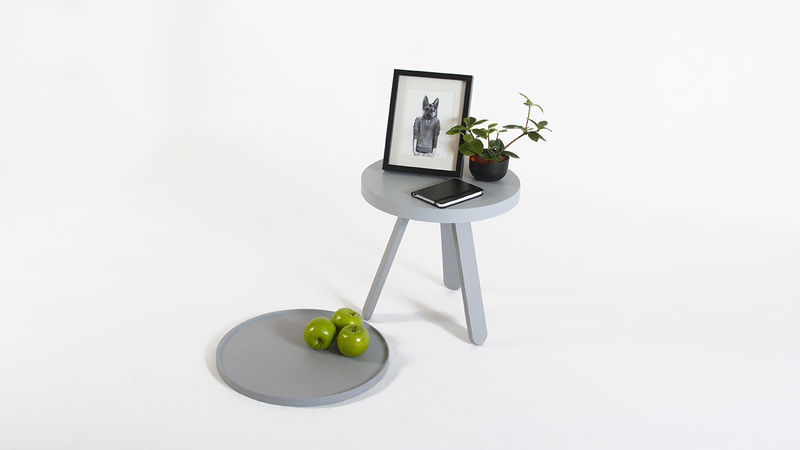 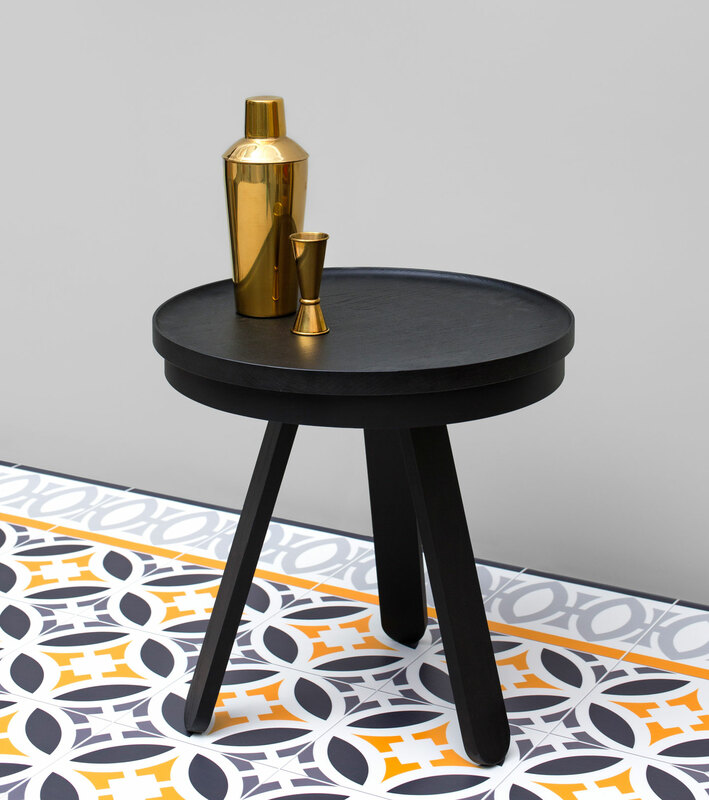 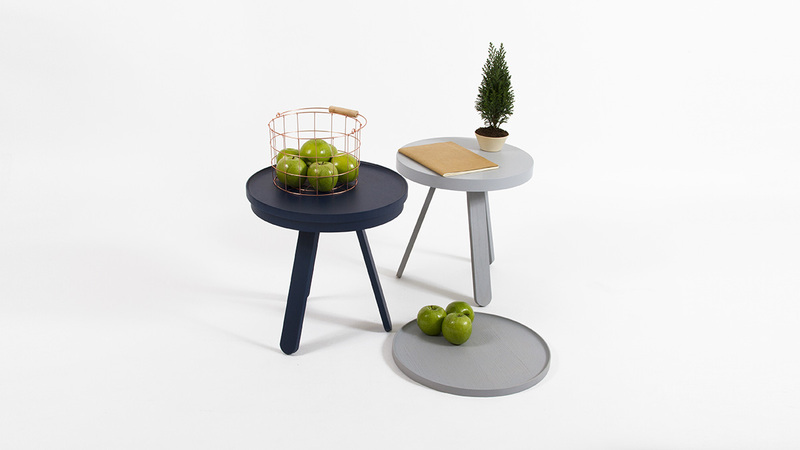 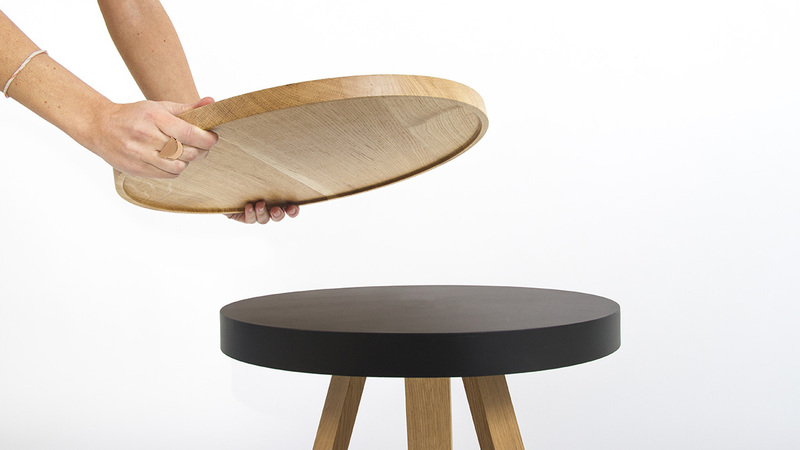 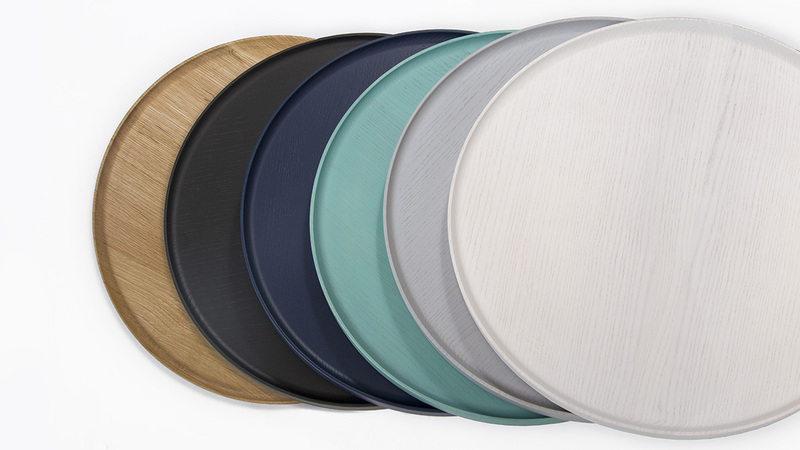 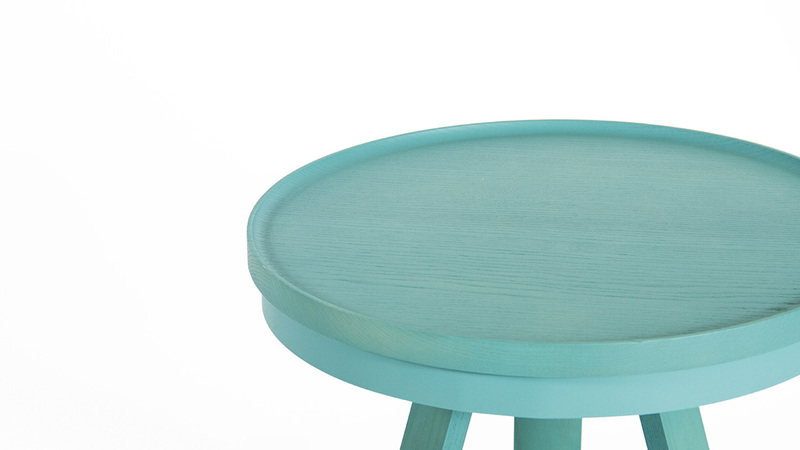 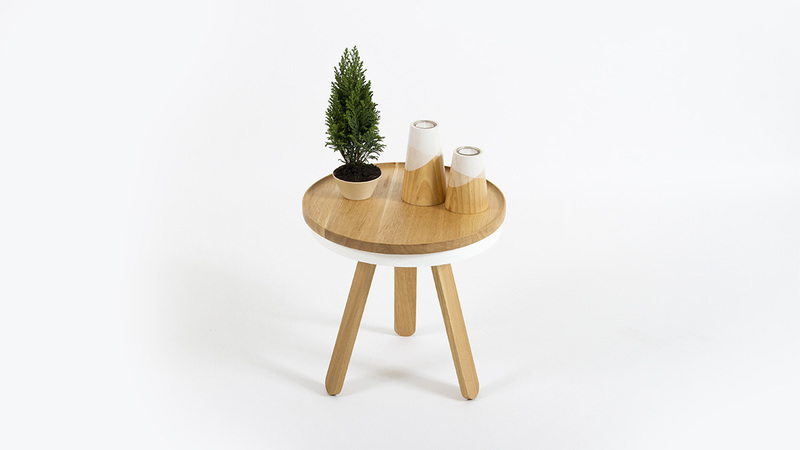 Inspired by traditional serving trays, works both as a tray and as a table. 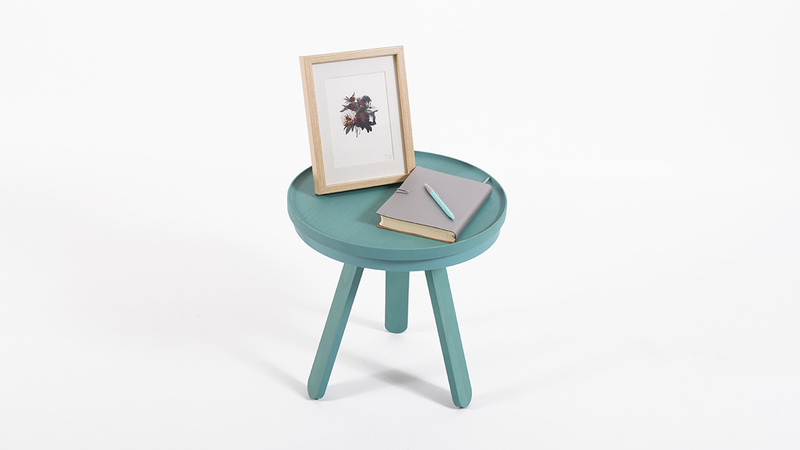 The secret is in its solid wooden tray, easy to extract and use. 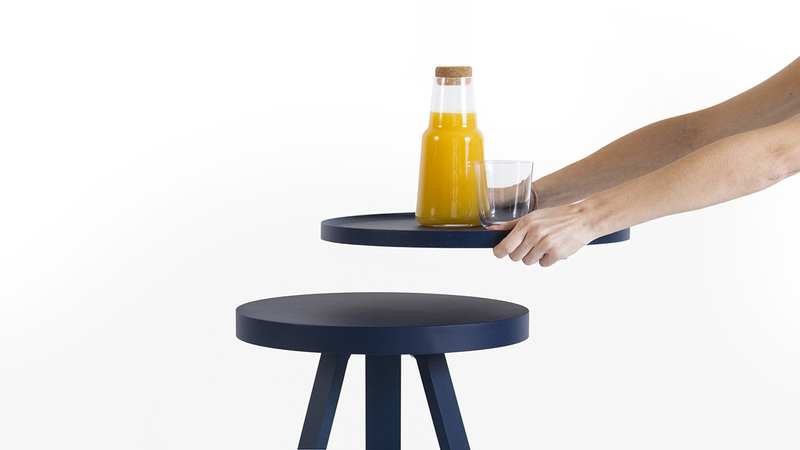 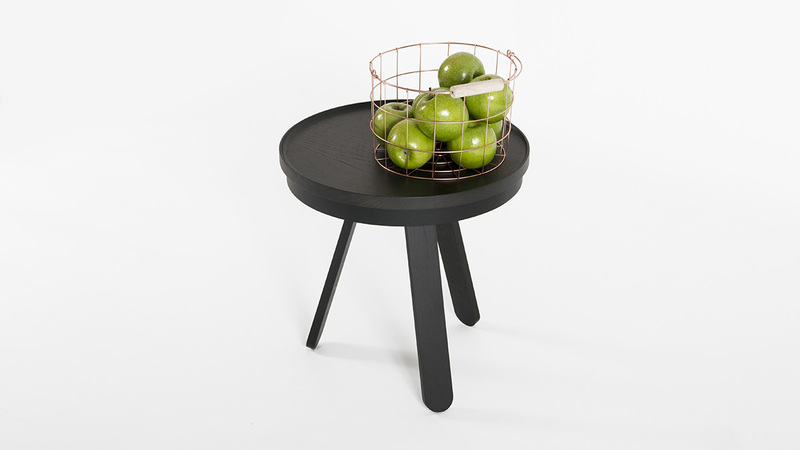 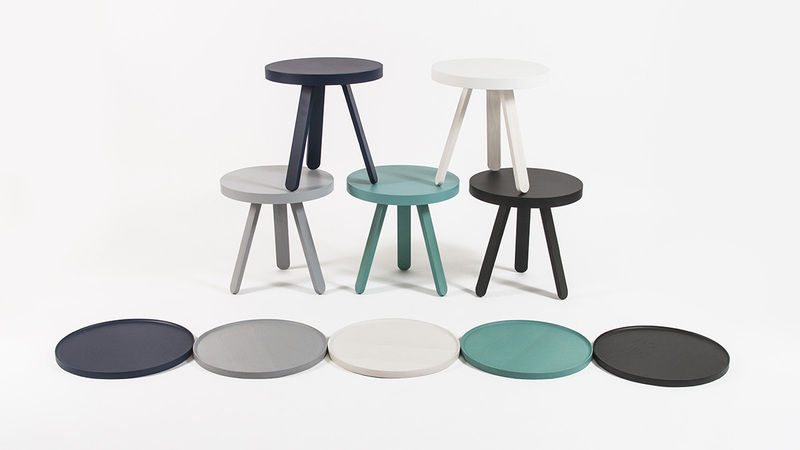 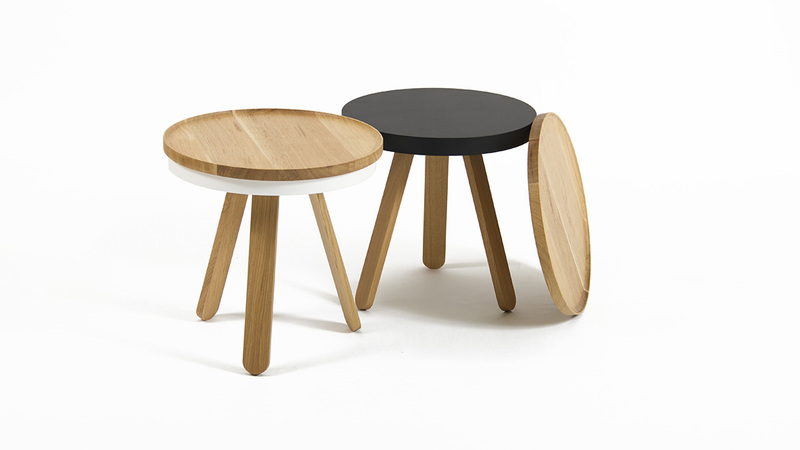 Batea is composed of a tray, a lacquered metal structure, and three solid wooden legs easy to assembly. 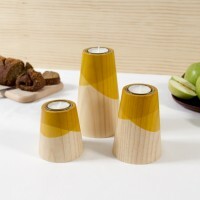 Solid natural ash wood has been used for color finishes and solid oak wood for the natural ones.